​​Over the next five years, Delta plans to hire more than 25,000 new employees, which include high-skilled, high-paying jobs. 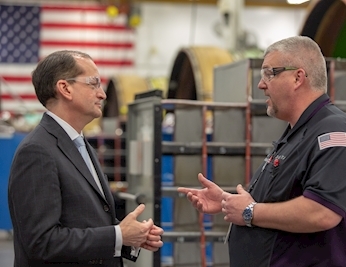 This news prompted U.S. Secretary of L​abor Alexander Acosta to visit Delta this week to learn more about the airline’s workforce development programs and to tout the great job Delta is doing to prepare for the future. More than 30 percent of aviation maintenance technicians at Delta will be eligible for retirement during the next decade. That’s about 2,000 technicians. 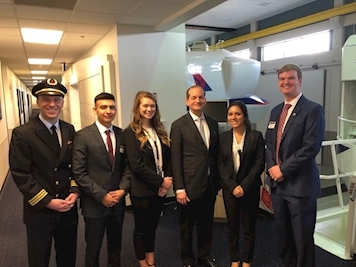 Secretary Acosta wrapped up his Delta tour by ‘flying’ one of Delta’s Boeing 777 simulators with Propel pilot Paige Thompson and intern Megan Brown.